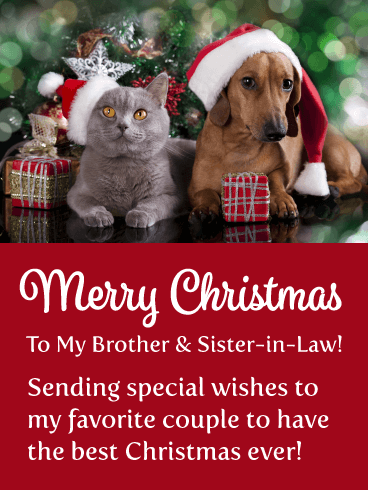 If your brother and sister-in-law love pets then they are going to think this Christmas card is the best. An adorable cat and sweet puppy sit side-by-side while wearing Santa hats. So Cute! They are surrounded by Christmas tree glimmer, as well as holiday gifts! 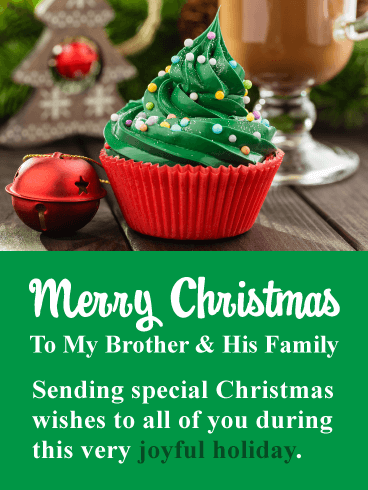 This Christmas card will certainly impress your brother and his wife! So send these holiday pets over to your favorite couple so they can meet them on Christmas day! 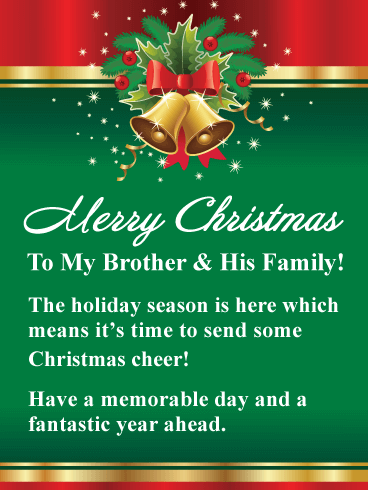 This lovely Christmas card will bring joy to your brother and his family during the holiday season! It showcases beautiful golden bells that look outstanding. The reflective gold stripes, along with the traditional red and green colors make this holiday card very festive! Send some cheer now that the holiday is here, and also wish them both a fantastic year! They will be so happy to receive such a thoughtful and exceptional Christmas card for this important holiday. 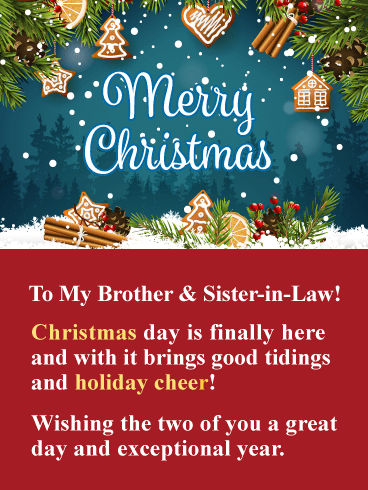 If you have a brother and sister-in-law that always seem to have a ton of fun, then this is the Christmas card for them! 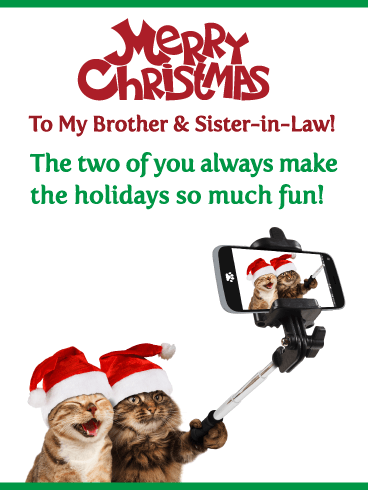 It features a cute image of two cats taking a selfie while wearing Santa hats! This lighthearted holiday card will let your brother and his wife know that they make the holidays a lot of fun for you! They will certainly appreciate this awesome Christmas card since it will brighten their day and add a smile to their faces!